THE HAGUE - Dutch bank ING was linked to an American fraud investigation in which Malaysian Prime Minister Najib Razak is suspected of embezzling over a billion dollars from Malaysian state investment fund 1MDB into his personal accounts, the Financieele Dagblad reports. According to the American judiciary, the suspects in this case used foreign letterbox companies, bank accounts and false documents to conceal unjust payments. In the 136 page long summons, the judiciary calls it an “international conspiracy to launder money”. 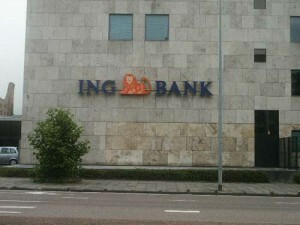 The summons also states that more than a billion dollars was paid via ING Bank in the Netherlands. According to the summons, the money went through two investment funds in Curaçao, through those funds to ING accounts, to intermediary companies and eventually ended up in Razak’s personal accounts. ING would not comment to FD on whether it forms part of the investigation or is suspected of wrongdoing. “It’s not ING’s policy to publicly comment on individual clients or transactions”, the bank said, adding that “if necessary”, it will cooperate with the relevant authorities.